The big day finally arrived and it was almost time for the solar eclipse that millions across the country had been eagerly waiting for. Our original plan was to drive to the center of totality at Silver Point lake, however by the time we had all woken up the traffic maps were showing that the roads to and in the park were already getting congested. 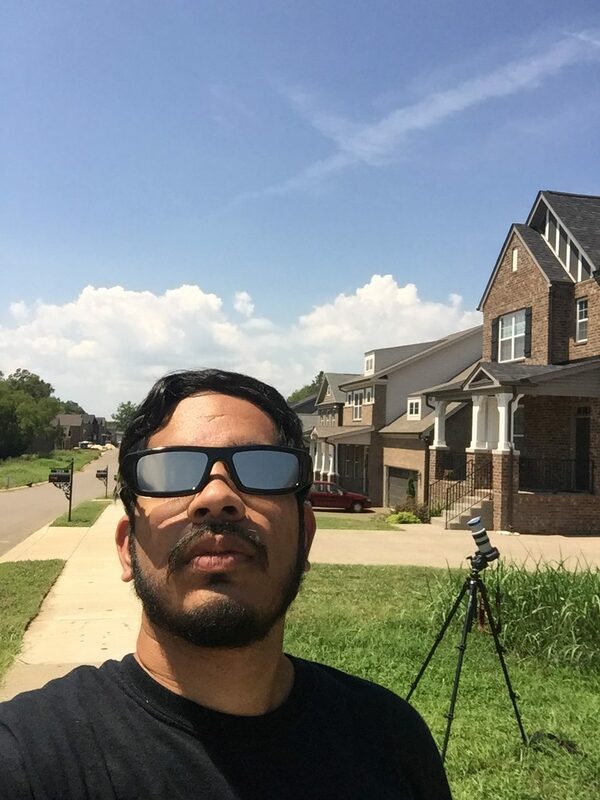 We decided as was standard this weekend to do things the easy and lazy way and watch the eclipse from our friends driveway as we were still near the path of totality (and there were snacks and beer!). The weather looked excellent where we were but we could see a large amount of clouds towards Nashville and to either side so this seemed just a good a spot as any. Its amazing we can predict eclipses down to the minute but sure enough the partial eclipse began exactly at 11:58 as the moon slowly slid over the sun. While watching the sun slowly being eclipsed was a fascinating spectacle it was just as interesting watching the lighting change as the day took on a dimmer and desaturated look. Right on time the surreal moment of totality arrived and the whole landscape went dark, the sky took on the reddish hue of dusk in the middle of the afternoon. Just as soon as it began it was over as the sun peaked back around the moon and daylight slowly returned. After watching the news we found out we were exceptionally lucky as in downtown Nashville the view of totality had been entirely obscured by clouds while we had a clear view from start to finish of the entire eclipse. Words nor photos can describe what an amazing experience this was to see in person, if you missed this one make sure to see the next one in 2024! I hope to see one somewhere in the world before then! 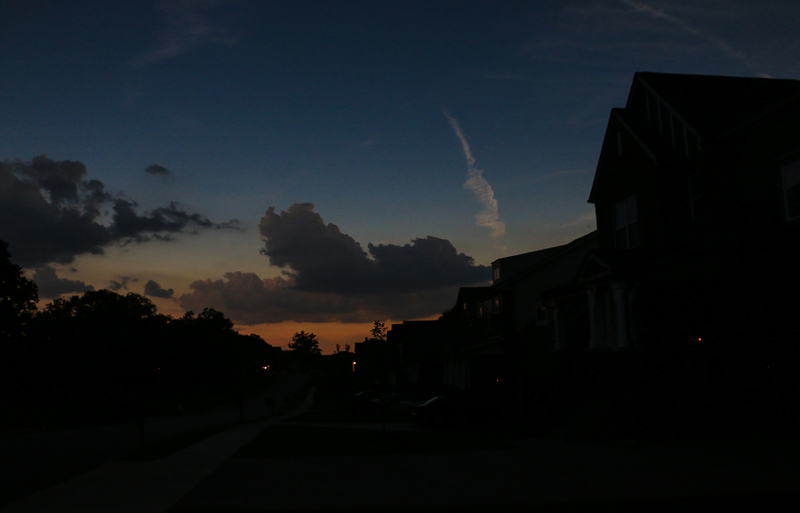 I used my Canon 70D to simultaneously photograph the surrounding landscape as the sun gradually dimmed. For the first sequence I left my camera on standard daylight settings of F7.1, 1/500 ISO 200 with no adjustment done in post process. 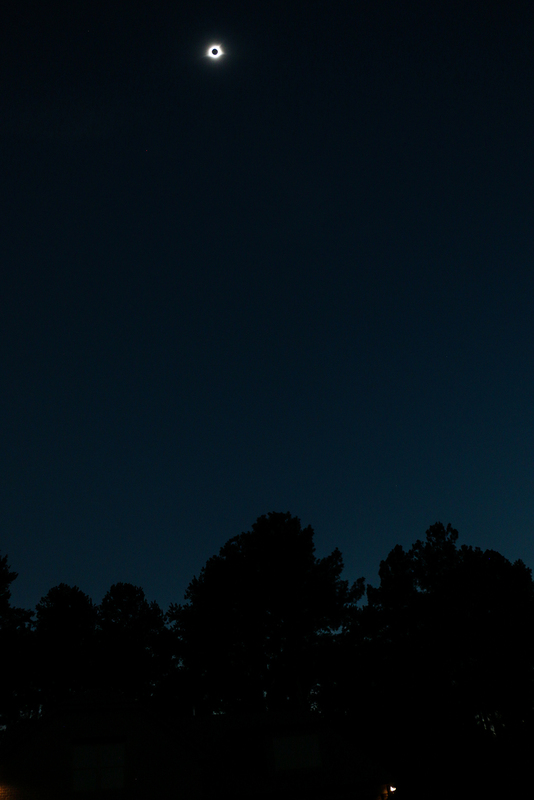 By 4 minutes till totality the images were entirely unusable at that setting and the rest I scrambled to readjust to take in the dusk like sky. 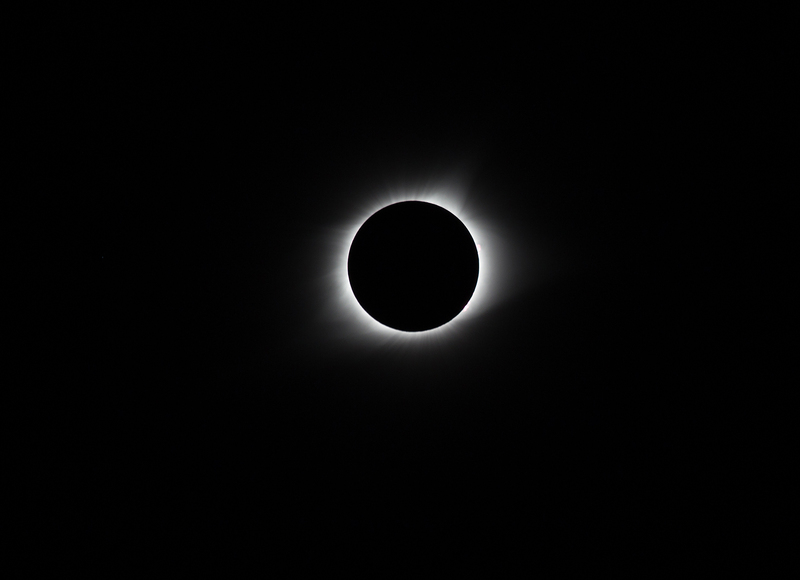 This was the first time photographing an eclipse for me and very different from my normal style of photography, overall it went well except leaving the filter on too long and missing the diamond ring moment at the beginning of totality and timing it too late at the end. A tripod is essential as I would have had a greatly diminished experience if I spent the whole time looking at the LCD, another important lesson is to use the camera’s live view and set focus manually. The most difficult part of setting up is actually finding the sun, from there focusing is relatively easy using sunspots as a judge of sharpness. Next time I would like to have a dedicated video camera set up to record the sudden shadows as totality is reached, in addition if you are doing scene shots as well its important what settings you would use at dusk as that will be the level of lighting at totality. As usual I procrastinated about purchasing proper equipment but I managed to snag a Celestron eclipse viewing kit at the last minute for $25 + shipping from BestBuy. This kit contained a set of plastic frame eclipse viewing glasses as well as a solar filter. The filter was not a proper screw on type, rather just a cardboard frame containing the solar film. This was perfectly acceptable as real screw on filters were retailing for over $100, not a good investment for equipment only usable one a decade! The filter was attached to my camera with painters tape for easy removal during totality and after the event. The glasses were well built and were wearable on top of my prescription glasses. Both materials gave the sun a yellow tint versus the green tint that was visible using welding glass. While a longer lens is preferable for close viewing of the sun most are either very expensive or low quality. I use this as one of my two carry around lenses and it did a good job with the eclipse with crisp images through the solar filter, it has an internal focusing mechanism with no barrel rotation which is vital with the tape on filter. Focusing was done using manual focus with the cameras live view. If one has the option a good crop sensor body may be a better option for further magnification however the image quality with the 6D and 70-300 was great and allowed for cropping in lieu of further optical zoom. With the release of the 6D Mark II there will no doubt be some excellent deals on the original 6D, still a highly capable camera.